I wasn’t there, but I bet a lot of tears were shed by Alberta NDP oldtimers last night at the party’s giddy, raucous ‘n’ rollin’ victory celebration in Edmonton. That was certainly the order of the evening on a similar dragon-slaying night long ago, out here in British Columbia. 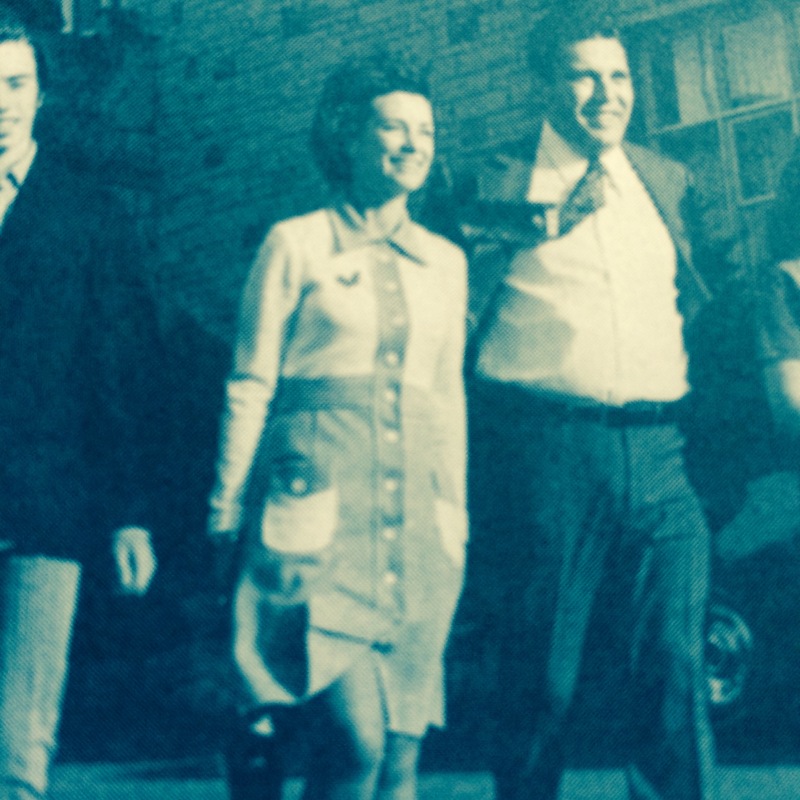 On Aug. 30, 1972, Dave Barrett, the 41-year old son of an East Vancouver fruit pedlar, led “the socialist hordes” inside the province’s gates for the first time, after nearly 40 years of repeated failure. Among the hysterical crowd greeting a triumphant Barrett at the Coquitlam Arena (it was a different time…) was veteran union official Rudy Krickan, who’d worked for the party since the 1930’s. His eyes moistening, Krickan told a reporter: “This is the greatest night of my life.” Barrett’s mother Rose, who put young Dave on a Spanish Civil War float in the late 1930’s, hugged her son with tears streaming down her face. I’m sure there were similar moments in Edmonton, as Rachel Notley delivered her warm, impressive, heartfelt victory speech at the little more upscale ballroom of the Westin Hotel (in the old days of the Alberta NDP, election night gatherings could probably have been held in the hotel lobby…). I mean, even a day later, who can really believe that the NDP has been elected in Alberta? (Surely some mistake, ed.) It’s insane, unworthy of even a lame April Fool’s joke. Calgary has gone from Cowtown to Maotown. As someone tweeted last night: snowballs in hell are alive and well. Despite the passage of time, there are a number of interesting similarities between the stunning elections of Barrett and Rachel Notley, whose father Grant was head of the NDP in Alberta when his B.C. counterpart came to power. Both Barrett and Rachel Notley toppled political dynasties that seemed destined to last forever. W.A.C. Bennett had reigned over B.C. for two decades with barely a hiccup, and of course, Alberta’s Conservatives had been in power for a staggering 44 years, almost as long as the Vancouver Canucks have been without a Stanley Cup. Both incumbent premiers waged disastrous campaigns. For them and their parties, after so many years, it was one election too many. Meanwhile, Barrett and Notley were note-perfect on the hustings. A mood for change swept over the electorate. By the end of 72-year-old W.A.C. Bennett’s bumbling re-election bid, the Socreds were desperately buying full-page newspaper ads proclaiming “young is a state of mind”. The ads pointed to a still-productive Picasso at 90 and Einstein working on his “unified field theory” into his seventies. Alas for Social Credit, there was no unified field theory to salvage the ‘72 election. “Wacky” went down in flames, as did Jim Prentice, who also seemed preposterously out of touch with ordinary voters. Last-ditch, political scare tactics that had always worked in the past were lost in the gales of change. The unified free-enterprise vote splintered, and both Barrett and Notley were able to steamroll to power with substantially less than a majority of the popular vote. At one point last night, the Alberta NDP vote was a scant .2 percentage points higher than the 39.6% B.C. New Democrats received in 1972. (Late returns bumped it up to 40.6%.) And eerily, both Social Credit and Alberta Conservatives were nearly wiped off the electoral map with the same paltry total of 10 seats. 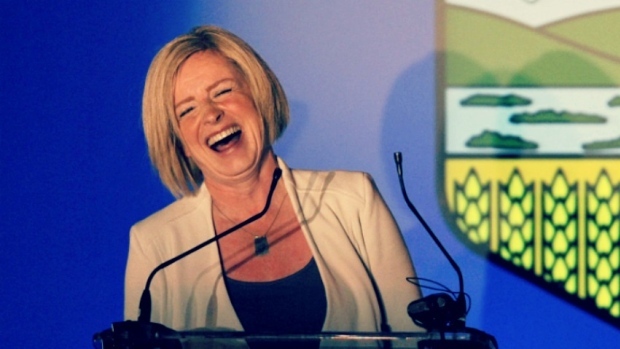 I found myself charmed by Rachel Notley’s wide, beaming smile. It seemed so refreshingly natural and unstaged. I can see why Alberta voters flocked to her, rather than to her rather dour competitors. And yes, Barrett, too, was like that in victory. Here’s Allan Fotheringham’s description of the incoming premier as he strode towards Government House to be sworn in: “The new premier wore a continuing grin of simple pleasure. It was not a smug, greedy look. Just a boyish failure to subdue his true feelings.” And now, the tough similarities. The way ahead for Notley, as it was for Dave Barrett, is fraught with potholes of the potentially-monstrous variety. Neither came close to a majority of the popular vote. 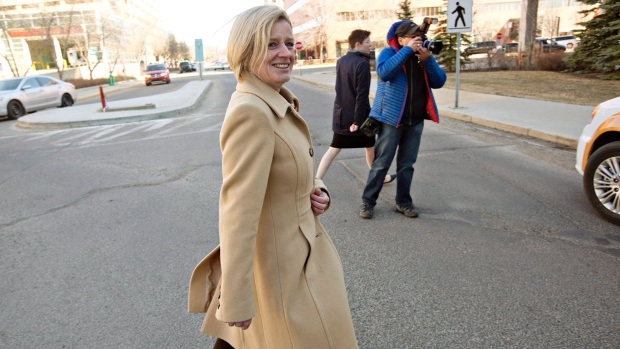 If the free-enterprise forces get their act together, Notley could be a one-term wonder, as was Barrett. (Same with Bob Rae’s upset victory for the NDP in Ontario in 1990. They won a large majority with just 37.6% of the popular vote, then soundly trounced next time out.) 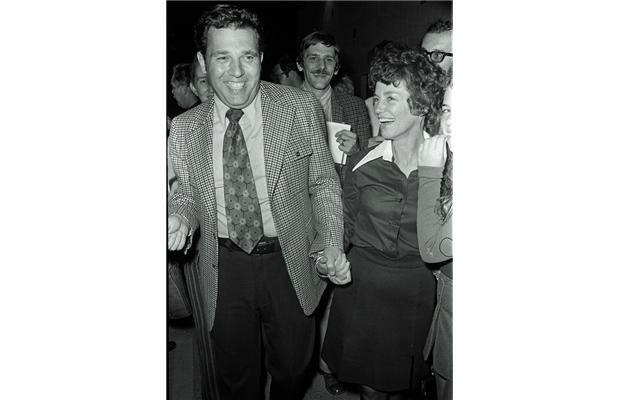 In B.C.’s bitter 1975 election, the NDP actually held their share of the popular vote, but Social Credit, under the hardnosed leadership of Bill Bennett, knocked them for a loop by building an unsinkable anti-NDP coalition. The Liberal and Conservative vote basically disappeared. In a two-party race, Barrett and the NDP didn’t have a chance. They were out of office for the next 15 years, until the free enterprise forces split once more. As did Barrett, Rachel Notley also takes over the reins of a resource-rich province with a caucus completely untested by government. Who knows how they will perform? Barrett turned out to have some exceptionally capable ministers, several among the best this province has ever had. But he had his share of dunderheads and lacklustre performers, too. Along with more than one big blunder by Barrett, himself, these lesser-lights helped fuel perception of a gang that couldn’t shoot straight. The reality was quite different. The Barrett government accomplished more in 39 months than perhaps any administration in Canadian history. It was done purposefully. At the new government’s first cabinet meeting, when not sliding up and down the large, shiny cabinet table in their stocking feet, they considered the question: Are we here for a good time, or a long time? As we know, they opted for a good time. “We discussed whether we were going to make fundamental changes in British Columbia,” Barrett wrote, later, “or whether we would try to hang on for a second term, rationalizing that we would get the job done next time around. We agreed unanimously to strike while the iron was hot.” Many thought they did too much too soon, without sufficient consultation. In the process, they alarmed the business community and a good chunk of the public. Their fate in the next election was sealed. Yet their short time in office was far from all bad. Much of what that wild and crazy government did survives today. 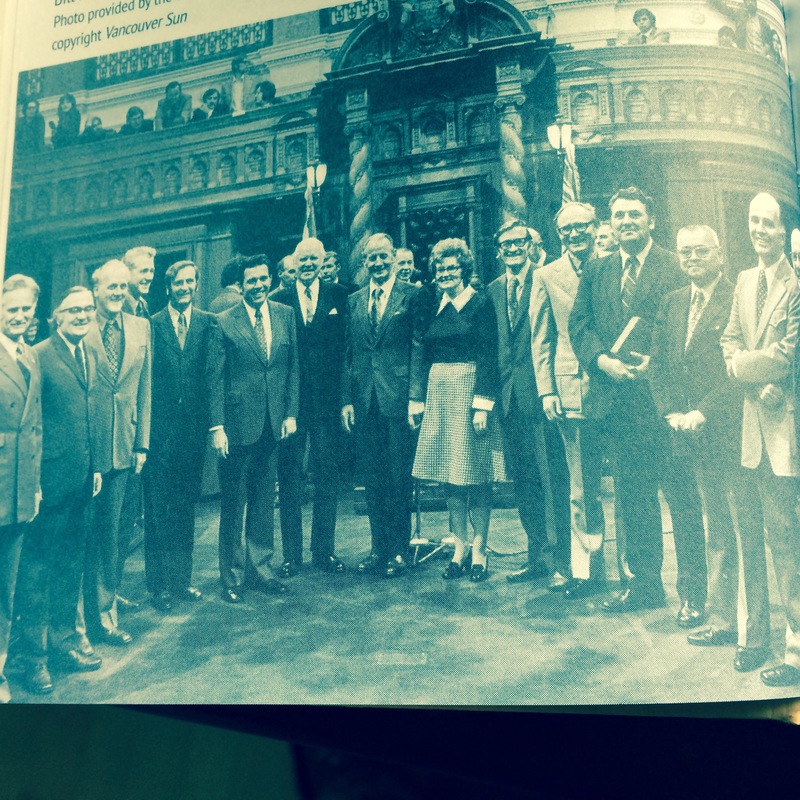 The “Barrett boys” fundamentally changed B.C., mostly for the better. So far, the approach of Rachel Notley seems a fair distance from Dave Barrett’s approach. Although both are certainly populists, early signs are that she is opting, not for the good time, but for the long time. While Barrett gleefully took on the big mining and forest companies, Notley is already talking to Alberta’s energy industry moguls, seeking to re-assure them of her desire to work together. Meanwhile, the Alberta media must be licking their lips in anticipation of a story that keeps on giving. There will be tales galore, as there was during the Barrett government’s brief, Roman Candle launch and fall to earth. Everything seems so easy in opposition. Actual government is hard, requiring a steep learning curve. And so, to Rachel Notley and her merry band of green youngsters, i say: Welcome to the bigs. It should be a hell of a ride. This entry was posted in Politics and tagged Alberta, Allan Fotheringham, Bill Bennett, Bob Rae, British Columbia, Calgary, Conservative Party, Cowtown, Dave Barrett, Grant Notley, Jim Prentice, NDP, Ontario, Picasso, Rachel Notley, Rose Barrett, Rudy Krickan, Social Credit, W.A.C. Bennett. Bookmark the permalink. Good column Rod! Exhausted, old-time, cynical, condescending politics took one in the breadbasket last night. With her stunning and well-deserved victory Rachel Notley has made Alberta a province to watch. No doubt Dave a cynical column meanwhile the rest of Canada is celebrating the Alberta NDP victory. Re the “Snowball in hell” tweet, when I had heard the news last night I couldn’t resist posting ( after all I’m Shipley of the POST) “Well Stephen Harper, Hell has frozen over in Alberta and the NDP is skating all over it”. you’re in the vanguard, Mr. Shipley…. As for being in the vanguard — and another thing: Rachel Notley did the same law school poverty law clinic program I had done over 15 years before. The implication here is that the majority of Canadians are conservative. The reality is that about 25% of the families are doing much better than the average – and they know it; so they only need another 15% to get a majority, so they can keep their advantages. It is up to progressives to inform all non-rich people that the Conservative party only exists for the advantaged, which will never help them. One cannot rely on “kick the bums out” for winning elections.